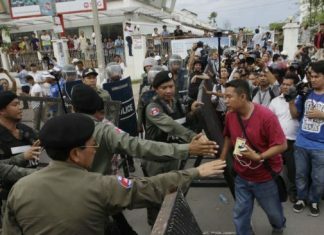 An increase in attacks on the opposition party by the ruling CPP has widened the culture of fear and self-censorship, and threatens to disable the country’s entire political system, according to a new report by the Asean Parliamentarians for Human Rights. “In the CPP’s haste to ensure that the opposition remains unable to effectively challenge its rule in upcoming electoral contests, it has dispensed with adherence to proper procedures and relied heavily on a politicized judicial system, a pliant legislature, and violent mobs to carry out its goals,” it says. It argues the effects on society have been far-reaching. “Civil society organizations have reported…that self-censorship is on rise, and that they are often reluctant to communicate with members of the opposition, even for perfectly legitimate reasons,” it says, adding that the same people who once saw the opposition as a “watchdog and a protector of civil society” were now too afraid to speak out. The report recommends repealing recent amendments to the Law on Political Parties, which gave the government and courts sweeping new powers to dissolve parties, as well as amending a number of laws that address ambiguities around parliamentary immunity. It also recommends decriminalizing defamation, which has been used against several lawmakers and critics. Charles Santiago, a Malaysian member of parliament (MP) and the rights group’s chair, said he was not optimistic about the government heeding the report’s recommendations. 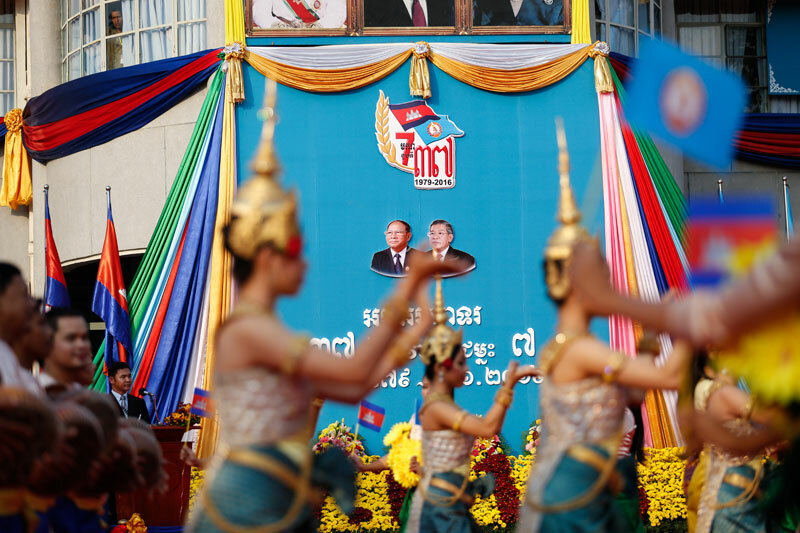 “The Cambodian government should take this report and its recommendations seriously, as it has been commissioned by MPs in the region who want to see their fellow Asean nation succeed,” he said in an email. “Realistically, it’s clear that the Prime Minister and his party are focused on staying in power at all costs, and the recommendations in the report would provide for a more level playing field where the will of the people is respected,” he added. Tom Villarin, a House of Representatives member from the Philippines, said a “slide to one-party authoritarian rule” could be disastrous for the region, bringing instability. Government spokesman Phay Siphan characterized the report as a “political invasion” of the country’s sovereignty, and insisted that a “multiparty system has been reached.” He firmly rejected the idea of the government implementing any of the recommendations. “Those politicians, they should mind their own business in their countries,” he said.